It is safe to assume that parents want their children to have healthy, strong bonds with their peers. Fostering friendship is one of the reasons parents pursue quality childcare options, playdates, and other social situations for their young children. And research backs up this priority, showing that early peer relationships are vital to a child’s social development and understanding. However, it can be easy to only expose children to other children around their own age. 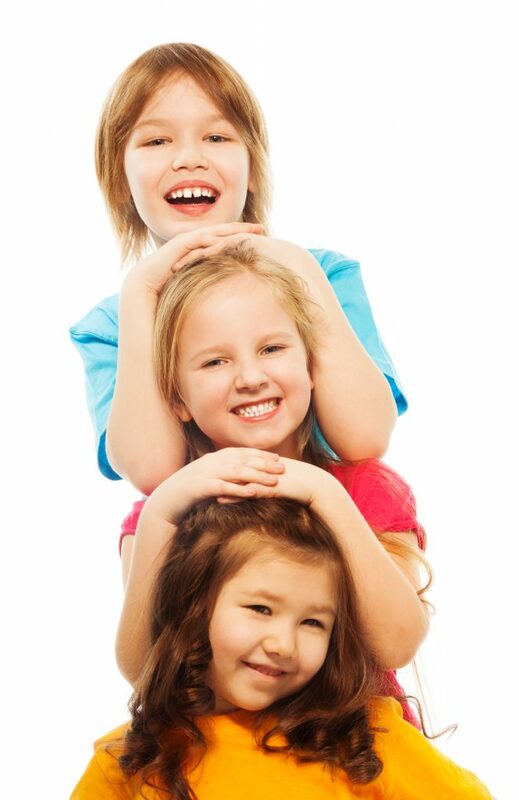 While peer friendships are important, it is also beneficial for children to have friends of differing ages. Childhood friendships are beneficial for a child’s physical health and mental well-being. But what are the perks if your child has friends who are several years older or younger than they are? For one, your child is going to meet different challenges in relationships with children of different ages. This may initially sound like a downside, but in reality, the opportunity to work through a variety of relational conflicts in a supported environment helps children develop a wide social understanding. Additionally, children of different ages love to teach and help one another. While a six-year-old must slow down and be more cautious around a three-year-old, the younger child will be encouraged to try new things and look up to his older friend. Lastly, anytime a difference is introduced in a child’s relationship, it is an opportunity to learn empathy. By noticing that someone is different from ourselves, we learn to put ourselves in their shoes and feel compassion for them. When fostering friendship between children of different ages, it is best to remain available to help them to navigate any misunderstandings or conflicts. Even a few years between children is a fairly wide gap in development, so the children will likely communicate and experience the world in very different ways. When possible, allow the children to work out their relationships on their own. This may mean allowing them to misunderstand one another but resist the urge to translate between them. The more they are able to communicate and accomplish without you, the more connected they will feel to one another. Many children identify very strongly with their ages. And rightly so! Childhood is full of celebrated milestones, from birthdays to grade promotions, and kids are cheered on as they move from one transition to the next. When fostering friendship in a diverse age group, focus on the traits that all of the children have in common. Perhaps they all love to play outside or to paint. Look for the similarities between the children, however small, and invite them to celebrate the ways they are alike instead of defining themselves by differences. Older children typically love to help. If you are fostering a connection between an older child and a younger one, consider asking the older child to help the younger with something. It may be as simple as building a tower or reading a book. Through the act of helping, the child becomes invested in both the activity and the younger friend. Older children, especially, may feel frustrated by an age gap with a friend. To avoid this frustration taking control, encourage the children to do activities together that span ages. For example, many older kids spend lots of time drawing, playing with clay, or building models. To include younger children, simply bring out the crayons and paper or the playdough or Duplos. The older child will be able to adapt his or her interests to the new medium, and the younger child will feel right at home. If a toy or pastime is too age-specific, someone will feel left out. For this reason, it is wise to stick to more open-ended and creative pursuits. Even taking advantage of one of Atlanta’s many beautiful playgrounds is a great start. Fostering friendships among children of diverse ages can be challenging, but it is well worth the work. As children learn to associate with not only peers but friends of many ages, they gain a wide range of social skills. If you are looking for childcare that prioritizes your child’s social and emotional development, please consider Legacy Academy Suwanee Dam. Call or visit today for more information.